Can you give Cinnamon to your pet animals like dogs and cats? Yes you can use cinnamon for your pets. It is just as effective as for humans. 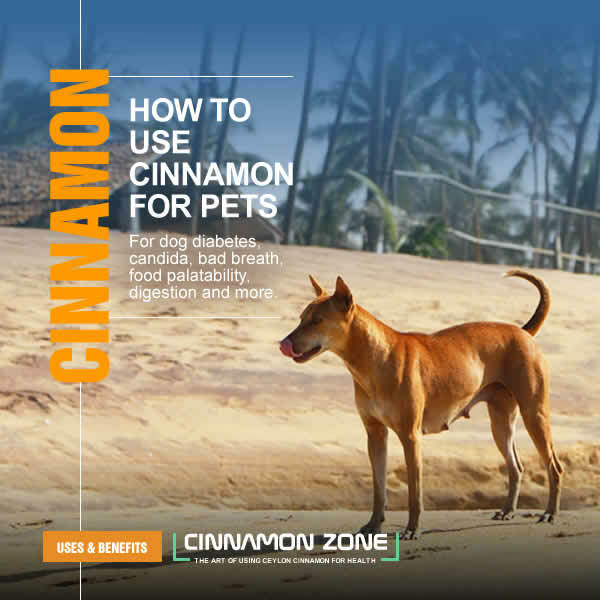 Discover how to use Cinnamon for your pets with information on what diseases it addresses, the dosage and possible side effects. According the ASPA Cinnamon is nontoxic to dogs, cats and horses. Cinnamon has a storied history of health benefits and increasingly many pet owners are giving cinnamon to their pets. Due to excessive consumption of processed food and antibiotics our pets are suffering from the same ailments that we suffer from like diabetes, Candida, irritable bowel syndrome and much more. The problem has gotten worse with advent of pets kept in cramped apartments with virtually zero access to the outdoors especially for small pets who tend to suffer a disproportionate number of illnesses. The top ten most serious pet diseases include diabetes, arthritis, obesity, dental diseases, all of which can be controlled to a large extent with cinnamon. According to the CDC keeping your pet healthy might improve your health too. Called Zoonoses, these are diseases people can get from animals. Among the list is Salmonella and Campylobacter which some studies show can be fought fairly effectively with Cinnamon. Even though the studies were done almost exclusively with Cinnamon Oil, the much more concentrated distilled form of cinnamon, regular use of powder maybe work well as a preventive measure. If you intend to give your dog or cat Cinnamon on a regular basis switch to Ceylon Cinnamon. Regular grocery store cinnamon has high levels of Coumarin (read more here) which can damage the liver in us humans. The same should be true for dogs and cats. Like us dogs and cats can suffer from diabetes, arthritis, cancer and a host of ailments that we humans suffer from. Some people buy Ceylon Cinnamon powder for their horses come winter time. Usually to keep their bones warm. There is no indication that dogs, cats and horses have any more allergic reactions to Cinnamon than humans. Like humans a small minority of pets can be allergic to Cinnamon of course. They key is to test it in increments. It goes without saying; cinnamon powder is the best way to give your pets cinnamon. You really don’t want your pets to chew on cinnamon sticks because there is always the possibility they can choke on it. But Cinnamon powder is versatile and can easily be mixed with their food. And surprise surprise, it even improves food palatability for dogs and cats. Horses maybe not so much. Of course if you wish, you can boil some cinnamon sticks and make a Cinnamon Stick Tea for your pets. They might like it. But make sure you cool the tea. My sister’s pet dog for example only wants iced water and she does like her cinnamon tea too. She won’t drink warm water however. What a spoilt dog. Oh well they are our dear friends. Improves food palatability – Believe it or not dogs get and cats get sick and tired of their food just like us. Us humans have such a variety of food that dogs often do not get. Maybe that is why their life spans so short to begin with. Cinnamon especially Ceylon cinnamon has this amazing ability to create complex flavors that improves food palatability. Now your pets is going to look forward to a nice meal. Warms their bones during winter – Especially if you have a dog who is dealing with symptoms of arthritis Cinnamon it will go some way towards alleviating the pain. Cinnamon increases body heat which warms the body especially the bones. Bone and cartilage development – Cinnamon has good levels of manganese and magnesium which is good for bone and cartilage development. Removes bad gut bacteria – Ever seen a cat chew on grass?. This apparently to relieve an upset stomach according to catchow.com. Cinnamon is the perfect spice to help with getting rid of parasites and help with regular bowel movements. As a powerful anti-bacterial Cinnamon helps get rid of bad bacteria in your pet’s stomach. Of course you should still allow your cat to chew on grass because it helps them regurgitate hair, bones are other indigestible matter. But if you have a house cat with no access to grass, a little Cinnamon will help, but also consider growing some grass in your apartment. Help with digestion – Like humans dogs and cats especially those exposed to processed foods can have digestive issues. Cinnamon has this remarkable ability to aid to the digestion process by delaying the gastric emptying process. That helps your pets better absorb nutrients by digesting it properly. Canine Candida – According to this article dogs suffer from Canine Candida, an organism classified both as a yeast and fungus. The list of symptoms of Canine Candida is quite extensive according to this article and includes skin disorders, allergies, lethargy, bowel disorders, rashes, overly hungry and or overweight, bloating, intestinal gas, strong doggy odor, dull or dry greasy coat, hyperactivity, genital rashes and itching, chewing of the paws, legs or tail, shaking of the head, bladder and urinary track infections. Cinnamon is one of the best things to fight Candida in humans and should work perfectly for your pets. Improves mood – Is your dog feeling depressed.? Try some Ceylon Cinnamon. Cinnamon improves mood and reduces irritability. My grand mother had a cat who was rather depressed. And grandma being one to try all kinds’ ayuvedic treatments gave some cinnamon to her and all indications are that cat’s mood improved. Not that cats are given to exuberant expressions of joy but there seems to be a visible improvement in her attitude. Blood sugar control – Believe it or not even dogs get diabetes according this article. This is apparently more common in obese or female dogs. Just like humans. According to bark.com “Though there are no universally accepted definitions of dog diabetes, the United Kingdom’s Royal Veterinary College identifies two forms: insulin-deficiency diabetes (IDD) and insulin-resistance diabetes (IRD). Neither matches any kind of human diabetes exactly “. We feel it is worth a try. Since cinnamon has about a 3-5% effect on blood sugar levels, there is no reason why it cannot work for your dog or cat. Dog breath – If you ever smelled the breath of some dogs and cats it can be absolutely foul. According to this article on webMd “ Bad breath is the result of a build-up of odor-producing bacteria in your dog’s mouth, lungs, or gut. Persistent bad breath can indicate that your dog needs better dental care or that something is wrong in his gastrointestinal tract, liver, or kidneys”. 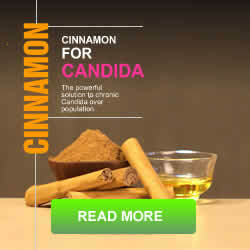 If it is related to bad bacteria in the gut, cinnamon will clean up the bad bacteria in a flash. If it is related to dental hygiene issues like gum disease, regular ingestion of Cinnamon stick tea would be the perfect way reduce tooth decay and gum disease and get rid of bad oral bacteria. Some dogs are more prone to oral healthy issue. Heart Health – While studies on cinnamon for pets is very small, this small 2012 study found that cinnamon had a protective effect on heart performance. We based the above recommendations on a combination US Dept of health guidelines for adults and the German Bfr guidelines which says no more than 0.81 per 132lbs if using Cassia Cinnamon. If you are using Ceylon Cinnamon we believe you can easily double this rate without undue risk. Cinnamon powder can create a choking hazard – Make sure the bag of cinnamon powder is not accessible to your dog. If they start playing around with it and ingesting it in large wallops, there is a small chance they might choke. A friends dog found a piece of Cinnamon stick in the house and started chewing on it. We had a devil of a time prying it off her mouth. 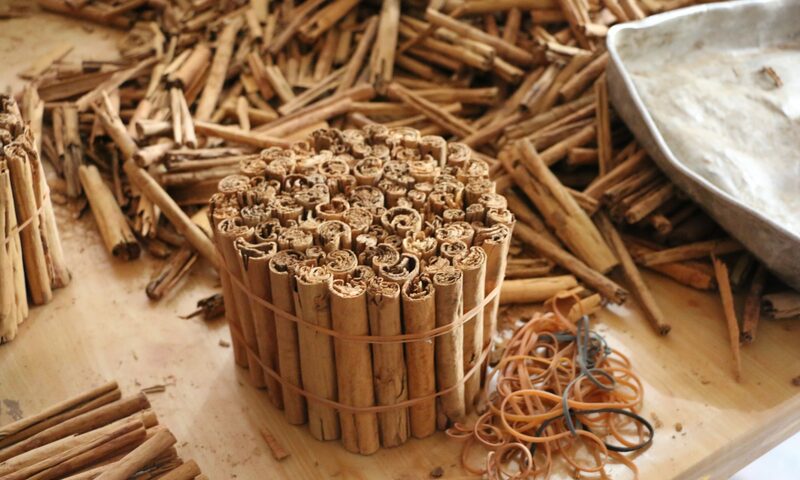 Cinnamon sticks can create a choking hazard. So keep it away. Avoid Cinnamon tablets – Cinnamon tablets are not a good idea. We are Meaning cinnamon tablets are full of gunk and fillers, not mention rather corrosive on the stomach lining if not mixed well with food. No Cinnamon oil for dogs and cats. – Avoid ingesting or breathing in Cinnamon oil for your pets. While there is no reason why Cinnamon Bark Oil cannot bring the same benefits it brings to humans, giving it to your pets may be unfeasible. Their nostrils are super sensitive to strong smells (especially cats) and it might possible effect their sense of smell adversely. Even mixed with food and ingested while safe for humans, may not be good for pets. We have not cited any scientific studies in this post with the exception of one obscure study for dog heart health because all the studies on the benefits of cinnamon is for humans. But you can check the human studies on the benefits of cinnamon and draw your own conclusions. The main thing is that Cinnamon is not dangerous for your cats, dogs and horses. Of course we are not sure if it works well for your pet Squirrel, Iguana or Tortoise. But it should be safe for pet hamsters and mice. That is if the cat does not get the hamster first. Could Cinnamon reduce brain damage and shrinkage? There is increasing evidence that Cinnamon can counteract the destructive effects of sugar on our brain. Cinnamon could be the key to all brain related ailments from Alzheimer’s to dementia and poor exams results for young students. All caused by sugar which has been shown to shrink the brain in the latest research studies. And you thought excess sugar only caused obesity, cancer, diabetes, cholesterol and a host of other ailments. And before you go rushing to buy Cinnamon, make sure it is low Coumarin Ceylon Cinnamon which won’t damage your liver, unlike Cassia Cinnamon. A current public television show by Dr. Perlmutter cites a direct relationship between the degree of atrophy or shrinkage of the hippocampus and blood sugar measurements. Even subtle elevations of blood sugar, far below the level where one would be labeled as being diabetic, were already associated with brain shrinkage according to the article. When you get a smaller brain you can’t think, it becomes foggy, you lose your memory skills, your reaction times slow down, you can’t solve problems or work effectively. So what has cinnamon got to do with it you ask? Well, Cinnamon is well known to control your blood sugar levels. According to Paul David at UC Davis in this NPR story of 2013, Cinnamon has a 3-5% effect on blood sugar levels, similar to an older generation of diabetes drugs. 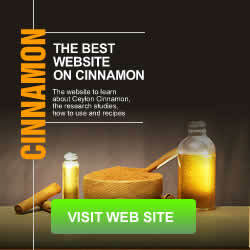 There are many other studies listed on our web site that show Cinnamon is effective at controlling blood sugar levels. That makes it a perfect antidote to solve excess sugar in your blood stream. If you have a sweet tooth, even if you are not a diabetic, cinnamon could help to scrub all the excess in your system and keep your brain from becoming smaller. Coincidentally in this this study by Dr. Bryan Raudenbush, Director of Undergraduate Research and associate professor of psychology at Wheeling Jesuit University in Wheeling, WV. Found that Cinnamon may keep you more alert and decrease your frustration when you are behind the wheel. It seems that it is Cinnamon’s ability to reduce sugar levels that may make the brain function so much better. Cinnamon may be keeping the brain from getting smaller. Maybe it even increases your brain size. For students cramming for their exams this could be the magic bullet. Perhaps it is time to throw out your sugary drinks especially the famous energy drink that young students seem to consume by the gallons. It may give you an energy rush, but each time you drink an energy drink it might be shrinking that brain of yours. A cup of Ceylon Cinnamon tea maybe a better solution to ace those exams. We think it’s worth a try. This article from Natural society also cites a previous study published in 2012, which also found that even slight elevations in blood glucose levels can increase your risk of age-related dementia. They conclude by saying some home remedies for high blood sugar may also be excellent for reducing blood sugar levels, while cinnamon for diabetes and blood sugar has also been used as a simple and valuable solution. 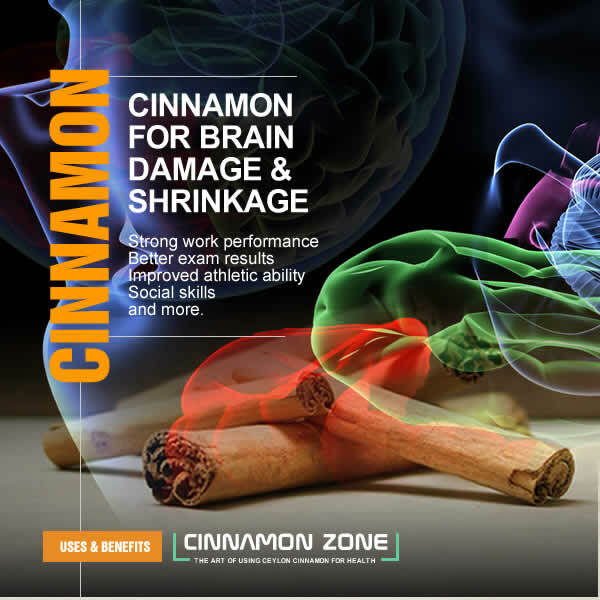 Researchers at the United States Department Agriculture also studied the Effect of Cinnamon Compounds on Brain Cells in this study and discovered that increased brain swelling was absent in a control group exposed to Cinnamon extract. The researchers caution that table cinnamon compounds may accumulate in the body and should not be ingested consistently as more than a spice over long periods of time. This we believe is related solely to Cassia Cinnamon which has high levels of Coumarin which causes liver damage. 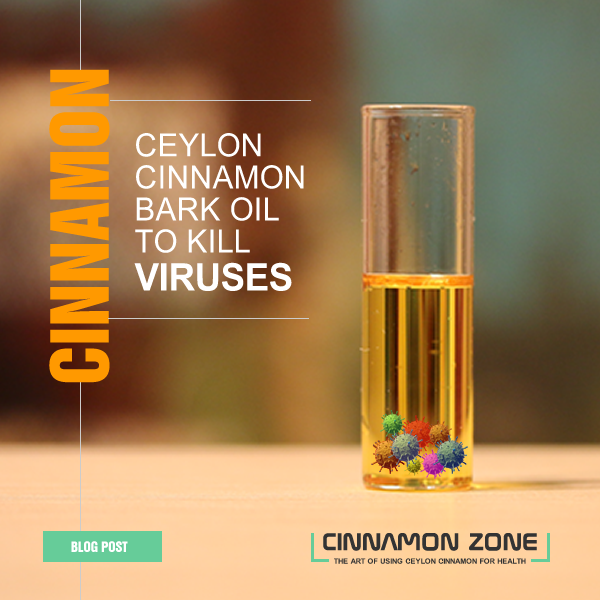 Ceylon Cinnamon on the other hand has ultra low levels of Coumarin and has virtually no danger from Coumarin levels. So if you are taking Cinnamon, make sure it is Ceylon Cinnamon. Still the key is to not to over consume Cinnamon, even Ceylon Cinnamon but make it part of an overall program of a healthy diet and moderate exercise. There is also increasing evidence that Cinnamon is one of few substances that can penetrate the brain blood barrier and does considerable good in repairing oxidative stress. Essentials oils in general are able to penetrate the brain blood barrier. Try some Ceylon Cinnamon Bark Oil internally. About 1-3 drops mixed in hot beverage like tea. It is well known to penetrate the blood brain barrier. Do not take too much, maybe 1 drop to start as it can drop blood sugar levels too fast. The latest finding indicate that two compounds found in cinnamon — cinnamaldehyde and epicatechin — may be effective in fighting Alzheimer’s. According to a study by Roshni George and Donald Graves in 2013, two scientists at UC Santa Barbara, Cinnamon has been shown to prevent the development of the filamentous “tangles” found in the brain cells that characterize Alzheimer’s.The use of cinnamaldehyde, the compound responsible for the bright, sweet smell of cinnamon, has proven effective in preventing the tau knots. By protecting tau from oxidative stress, the compound, an oil (major component of Cinnamon Bark Oil), could inhibit the protein’s aggregation. To do this, cinnamaldehyde binds to two residues of an amino acid called cysteine on the tau protein. The cysteine residues are vulnerable to modifications, a factor that contributes to the development of Alzheimer’s. So there you have it. A cinnamon solution for your brain. The key here is preventing cognitive difficulties from happening in the first place. There is an old Chinese saying “The superior doctor prevents sickness; The mediocre doctor attends to impending sickness; The inferior doctor treats actual sickness “. If you are an athlete Cinnamon may help you react faster. If you are at beginning stages of things like Alzheimer’s, it could counteract some of the damage allowing you to live a more productive life. And if you are leading the life of a fast paced executive, Cinnamon could be the key to better work performance without resorting to highly caffeinated sugary drinks or worse drugs. But we must stress not to overdo it. Never exceed the daily limit of 6g Cinnamon per day for six weeks with a period of rest after that as recommended by the US department of Health. Starting a Cinnamon habits at a young age and cutting out sugar could be the key to leading a productive and happy life free of debilitating illnesses, especially of the brain. Because to lose your brain is not to live at all. Cinnamon for arthritis has been used for Millennia. This is because Cinnamon is a powerful anti-inflammatory agent. Cinnamon is also the solution to many chronic inflammatory diseases such as Cardiovascular disease, Diabetes, Alzheimer’s, Dementia and Cancer. If you are taking cinnamon for arthritis, try to use low Coumarin Ceylon Cinnamon which won’t damage your liver and has negligible side effects. Unlike anti-inflammatory drugs like Ibuprofen (Advil, Motrin), Aspirin or arthritis medications like Glucosamine, real Ceylon Cinnamon (not tablets) has the benefit of having little or virtually no side effects (read side effects of Cinnamon here) if taken within the daily limit of 6g or less. Tablets or supplements have inherent dangers in the their production process as well as other side effects like stomach ailments. Cinnamon on the other hand is a great stomach stabilizer among a huge range of additional benefits. There are of course many different forms of arthritis. 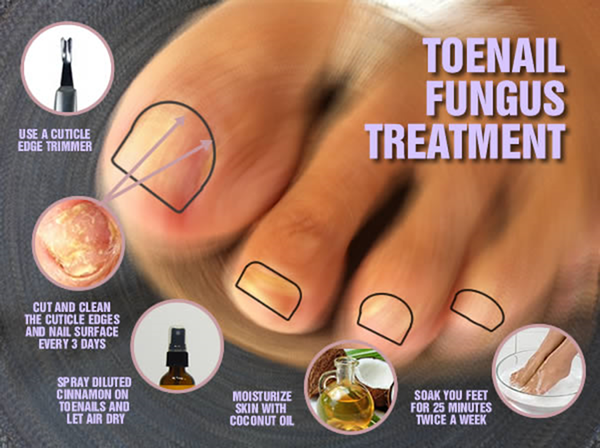 They include Tendinitis and Bursitis, Carpal Tunnel Syndrome, Fibromyalgia, Flat feet, Gout, Kawasaki disease, Lyme disease, Osteoarthritis, Osteoporosis, Plantar fasciitis, Tennis Elbow, Rheumatoid Fever, Rheumatoid Arthritis, Tarsal Tunnel Syndrome, and Wilson’s Disease. The major ones that affect most people are osteoarthritis, which is the “wear and tear” arthritis, and rheumatoid arthritis, an inflammatory type of arthritis caused by a defective immune system. Nearly 50 million Americans suffer from some form of arthritis. That is a shockingly high number. If you were a physically active person, especially involved in extreme sports or overweight or an older person, chances are you have Osteoarthritis which is caused by overuse of joints. There in increasing evidence that our diet especially our infatuation with high dairy consumption is a major cause. There are of course many other causes like accidents and injuries beyond our control. Age is one factor we have no control over. Like a car, the more we use our bodies, the more wear and tear we put on our bodies, especially joints. Some people are genetically predisposed to arthritis but here again eating factors may aggravate the symptoms. Of course if you are overweight, you will put additional stress on your joints. And illnesses like gout or joint infections can also cause arthritis. What we do know is that arthritis can be caused by a huge variety of factors. The best we can do is to find a natural remedy and model healthy habits to mitigate the pain of arthritis. And who knows, maybe even cure yourself. And we think Ceylon Cinnamon could be a huge part of that solution. According to the Mayo clinic, the treatment options for osteoarthritis are Medication (including anti-inflammatory drugs), physical therapy and surgical options. Some of these options especially surgery or pain medications can have unintended consequences. While Ceylon Cinnamon may not be a treatment option for everyone, it could form an important part of a natural solution. 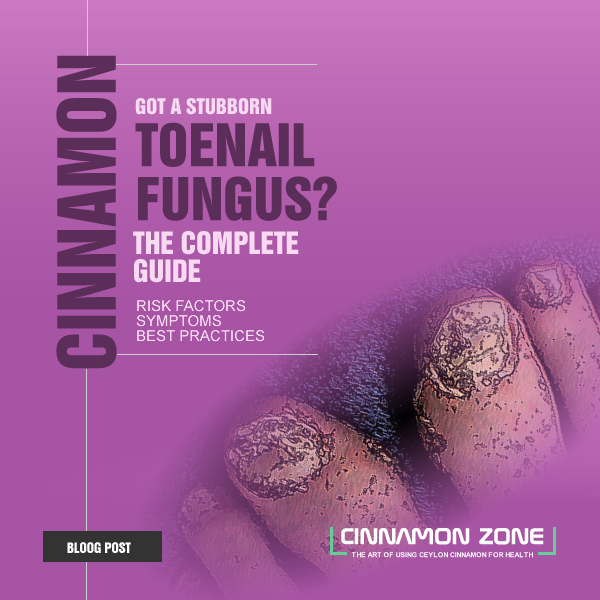 Cinnamon has high levels of Manganese (73% DV in 8g – 2 cinnamon sticks), which is the magic ingredient responsible for the formation of bones and connective tissues. One of the best known studies of Ceylon Cinnamon and its effectiveness against osteoporosis was this comprehensive Japanese study. The study concludes that a key component of Ceylon Cinnamon that makes it so effective against osteoporosis was the Cinnamaldehyde in Cinnamon Bark. Perhaps a cup of our Cinnamon Tea made with real Cinnamon Bark Oil high in Cinnamldehyde is the solution. This Naval Special Warfare Group study demonstrated that a combination of glucosamine HCl (1,500 mg/day), chondroitin sulfate (1,200 mg/day), and manganese ascorbate (228 mg/day) relieved symptoms of knee osteoarthritis. Cinnamon has good levels of manganese which means one could logocally conclude that it could certainly help of arthritis symptoms. This Duke University study discovered that Manganese was effective against mouse spinal cord compression injury, although efficacy was dependent on route of administration. This South Korean this study recognized the possibility of Cinnamon bark as a remedy for inflammatory disorders. A Japanese study of 1994 found that manganese superoxide significantly reduced foot swelling but also retarded radiological bone destruction in adjuvant arthritis. This 2013 study of Iranian athletes with Cinnamon and ginger found a decrease in muscle soreness. Admittedly muscles are not bones but is certainly within the realm of possibility that it could help bones too. Cinnamon and Honey– The widely cited Copenhagen study is a complete hoax. All indications are that honey and sugar will make your arthritis worse. According to this Livestrong article and many others we found, honey is not effective against arthritis in anyway. But Cinnamon is good option for arthrities. Our suggestion is not to pop Manganese or Cinnamon tablets to cure your arthritis but to take real Ceylon Cinnamon as an overall program of healthy living. This way you get the real thing without all the hazards and chemical compositions that come with commercially manufactured tablets. Dosage : One thing to keep in mind is that you should not exceed your daily dose of Manganese or Cinnamon. Your daily Manganese dose should not exceed the daily limits. According to NYU Langone medical Center as well as the University of Maryland the daily value of Manganese for, Men age 19 or older is 2.3 mg of manganese and women age 19 or older should get 1.8 mg. Click here for the full daily allowance for all age groups. The FDA site recommends a daily amount of 2mg based on a 2000 calories intake. . The NYU langone Medical center recommends NOT to exceed 11mg of Manganese per day, beyond which you will start to get nervous system effects. Yet most commercial manganese tablets are sold in 50mg amounts. Go figure! If you take too much manganese it may cause nervous-system effects that mimic Parkinson’s disease, including tremors, difficulty walking and facial spasms. Taking Ceylon Cinnamon for arthritis is only one aspect of your total health plan. Ideally you want to include the following solutions into an overall plan of health living. Take 1 tsp. of Ceylon Cinnamon Powder 2 times per week. Mix it in your soups, add to breakfast cereals. Take 1-3 drops of Ceylon Cinnamon Bark Oil once a week. Yes you can ingest Ceylon Cinnamon Bark. Look for Ceylon Cinnamon Bark Oil with at least 60% Cinnamaldehyde. Not Cassia Cinnamon Bark Oil. Avoid that.This combination covers all the bases. The powder has the goods levels of manganese levels you need. The Ceylon Cinnamon stick keeps it interesting and we added to the Ceylon Cinnamon Bark Oil because some research studies indicate the cinnamaldehyde of the Bark oil that works for arthritis. This way you cover all the bases. Voila!Important Note – Take a rest from Cinnamon on the weekend. While Cinnamon is an anti inflammatory take too much and it increases body heat. If you get too much body heat, your joints will swell up and your body will try to vent out the excess heat by creating boils under the tongue, cracked heals and other fissures on your skin surface. Cinnamon is extremely powerful. Use it moderation and it is a marvelous health elixir. Eliminate Caffeinated Drinks– Caffeine leads to mineral loss. You can switch to a lovely cup of Ceylon Cinnamon Stick Tea for the morning and afternoon. Eliminate Sugar or dramatically reduce sugar consumption – Sugar is a well known inflammatory agent. Avoid Dairy products– High dairy consumption is related to increased stress fractures. Avoid Nightshade Fruits and Vegetables like Tomatoes – A particular group of substances in these foods, called alkaloids, compromise joint function. Avoid Supplements – While things like Vitamin C, Omega 3 Fatty Acids, Hemp, Glucosamine are also effective against arthritis they present other dangers common to most manufactured pills. Like Ceylon Cinnamon you can find natural sources of these ingredients to supplement your diet. Improve Your Gut Health – According to the Mayo clinic gut bacteria may trigger diseases such as Rheumatoid Arthritis. 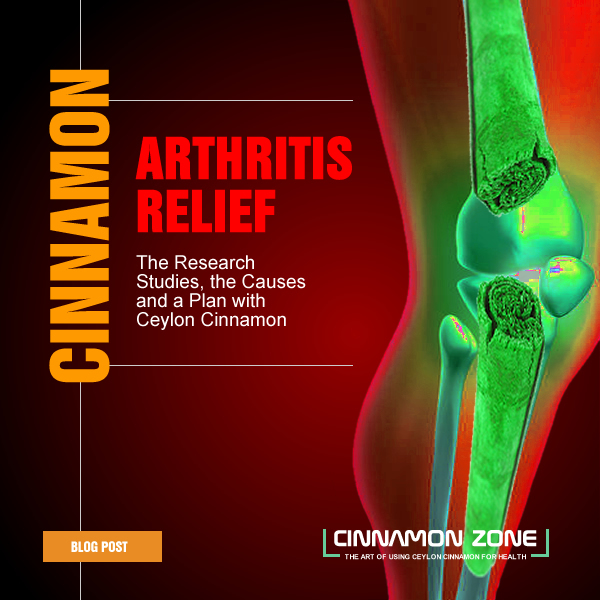 The best way to check if Ceylon Cinnamon for arthritis works for you is to try it. To be fair you should give it three months. Our tendency is to overdose on something that is good for you. This is the wrong approach. Instead you should incorporate Ceylon Cinnamon in moderation as part of an overall program of proper diet and exercise. The cost to have two cups of Cinnamon Tea twice a day for three months is under $60. If it does not work for you, Ceylon Cinnamon has other benefits like blood sugar control, settling your stomach, improving your guts health and so much more. Make sure you do all those other things too, like eliminating sugar and dairy for the Cinnamon to have a chance. If you continue to lead an unhealthy lifestyle the Cinnamon will have difficulty overcoming the adverse effects of other factors such as high dairy consumption or bad gut health. Learn how to slow boil Ceylon Cinnamon sticks which turns into a lovely red with a heady aroma tinged with hints of citrus. We have given you a reasonable amount of research and a plan of attack. Now it’s up to you. There is increasing evidence that Cinnamon kills viruses. Antibiotics do not work against viruses because they are not alive. A bacteria is a reproducing life form. A virus are DNA/RNA fragments on a protein coat that has injected itself into a living cell and gets that cell to reproduce. That means killing those cells will essentially kill you. A viral drug works by stopping the viruses injecting themselves into the cells. A bacteria by comparison stands separate from a cell and can therefore be isolated and killed separately without killing the cell. Another study in 2000 found Eugeol (the common ingredient in Ceylon Cinnamon Leaf Oil) was virucidal and showed no cytotoxicity at the concentrations tested. Meaning it was effective against HSV-1 and HSV-2 (Herpes) at doses of 25.6 & 16.2 microg/mL. All the research is fine a dandy, but how do you take it to kill a Virus you ask. You can’t really swallow some Cinnamon Bark Oil or Leaf Oil hope it does the trick. Cinnamon Oils are so powerful, that more than a drop or two might burn your insides. If you do take Cinnamon Bark Oil or leaf oil you should consult a medical professional. And only use good quality Cinnamon Oil. Technically both Cinnamon leaf oil and bark oil can be taken internally provided they are steam distilled to a high quality with high levels of cinnamaldehyde (in Cinnamon Bark this should be 40% and up) or high levels Eugenol (in cinnamon leaf oil this should be 70% and up). There are also some good books on Amazon on essential oils that you can try to follow.